In the mood for love, we’ve curated a gift guide for your significant other. Made-to-measure tailoring is unique with various fabric options and design customisation available – a personalised gift card with any amount can be arranged at our Melbourne and Sydney showrooms. Get in touch and arrange yours online. A classic footwear suited for business-formal offices – goodyear welted, hand finished, and can take you places in life. 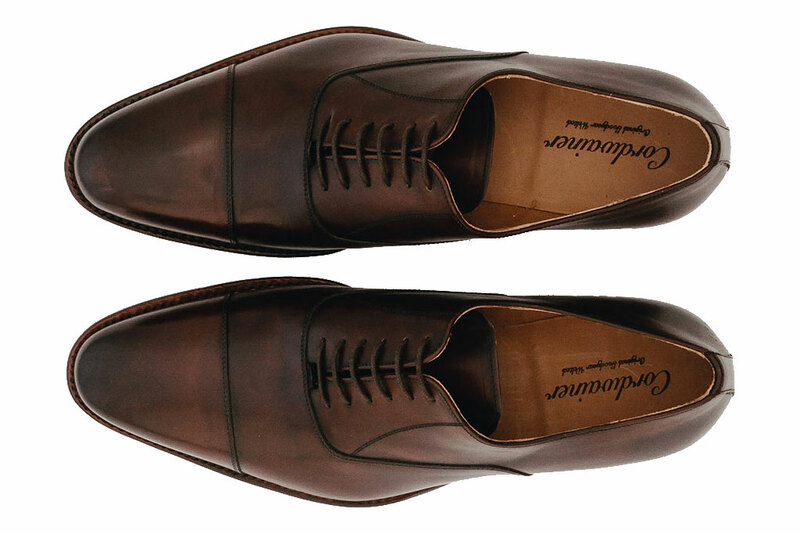 More details here or alternatively, view our collection of Cordwainer footwear here. Biagio Santo silk grenadine navy with blue spots necktie. We’ve recently received a curated collection of seasonal spring/summer neckties in both our Melbourne and Sydney showrooms – handmade in Italy, limited quantities, and a collaboration with Italian haberdashery Biagio Santo. Shop the collection and our core selection in-store. If you’d have one pocket square in the wardrobe, this is it – a crisp white cotton square that adds the finishing touch to any jacket. More details here. A pure silk alternative is also available in-store. Meticulously crafted, this pair of cufflinks is perhaps one of our favourite options for formal occasions. More details here. Since 1820, Albert Thurston suspenders are handmade in England according to traditional dimensions and a timeless accessory in one’s drawer. More details here. 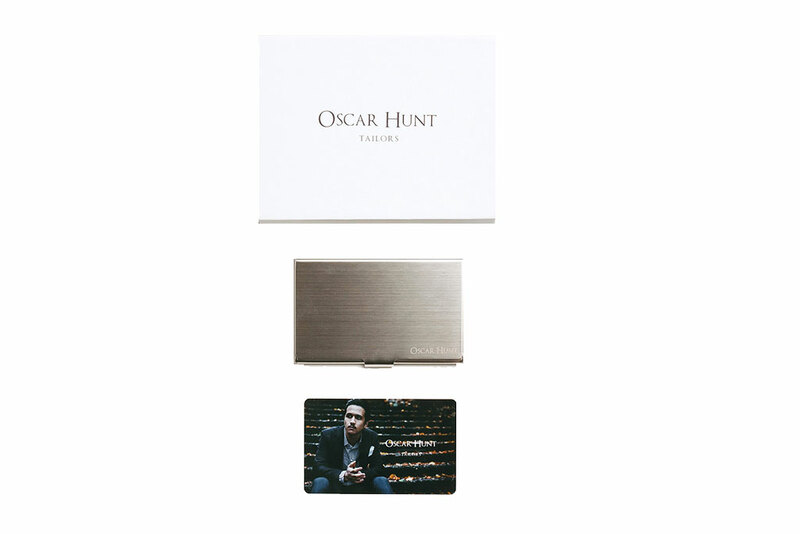 At Oscar Hunt, we’re advocates for made-to-measure tailoring and care most about the fit of our garments – throw on a linen sports jacket over a striped oxford button down shirt with ease and be all sorted for a beautiful dinner date on Valentine’s. Book a fitting online. 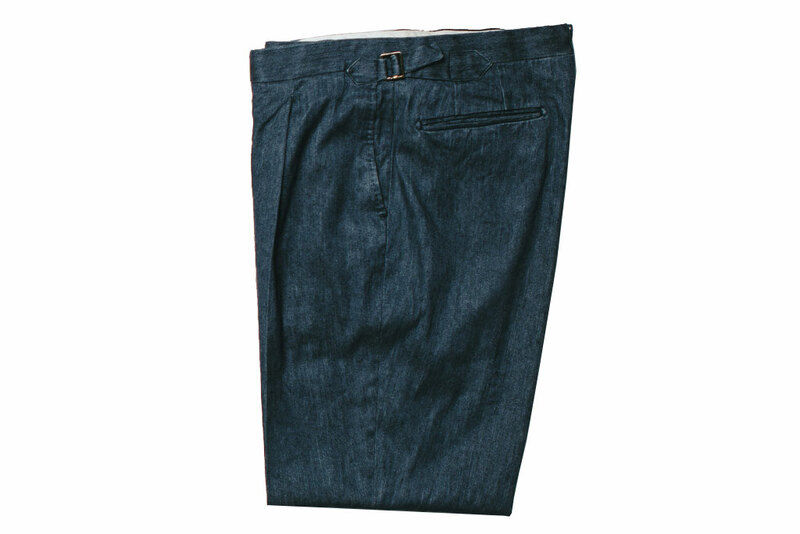 Made-to-measure tailored, fabric from Loro Piana, and leisurely worn, it’s no wonder that our lightweight denim trousers are becoming our clientele’s new favourite and familiar pair of jeans. Book a fitting online. In partnership with Hunter Lab, we believe that style starts with your skin and hence, expanded our offerings to include several Hunter Lab’s skincare products – now available in both our Melbourne and Sydney showrooms. Visit us to view the full Hunter Lab range in-store.